In the summer of 1935, six-year-old Emily Evans vanishes from her family’s vacation home on a remote Minnesota lake. Her disappearance destroys her mother, who spends the rest of her life at the lake house, hoping in vain that her favorite daughter will walk out of the woods. Emily’s two older sisters stay, too, each keeping her own private, decades-long vigil for the lost child. Sixty years later Lucy, the quiet and watchful middle sister, lives in the lake house alone. Before she dies, she writes the story of that devastating summer in a notebook that she leaves, along with the house, to the only person to whom it might matter: her grandniece, Justine. For Justine, the lake house offers a chance to escape her manipulative boyfriend and give her daughters the stable home she never had. But it’s not the sanctuary she hoped for. The long Minnesota winter has begun. The house is cold and dilapidated, the frozen lake is silent and forbidding, and her only neighbor is a strange old man who seems to know more than he’s telling about the summer of 1935. Soon Justine’s troubled oldest daughter becomes obsessed with Emily’s disappearance, her mother arrives with designs on her inheritance, and the man she left behind launches a dangerous plan to get her back. In a house steeped in the sorrows of the women who came before her, Justine must overcome their tragic legacy if she hopes to save herself and her children. I have been on a mystery/suspense spree these days and The Lost Girls fits that bill nicely. What happened to Emily that summer night 60 years ago? 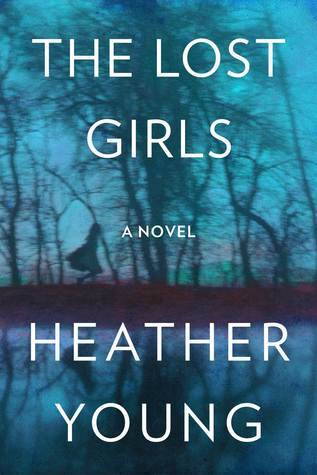 Heather Young alternates between past and present day with 2 story lines connected by blood and an old lake house. I love old lake houses, they elude not just character but they hold secrets and eventually those secrets have to come up for air. 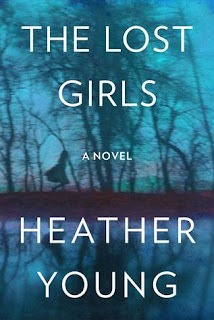 I found The Lost Girls to be well written, with attention to detail it wasn't hard to visualize so much here, from the creaky old house, skating on the lake and even feel the isolation/cold of the Minnesota winter. The plot revealed itself slowly over the pages giving me the opportunity to get to know the characters and feel their inner struggles and fears. This is the authors debut and I think she is off to a great start. Thank you to the publisher for an arc (via Edelweiss). I read this one a few months back and I really enjoyed it. I also thought it to be very well written. Heartbreaking story but such an engrossing read. Great review!